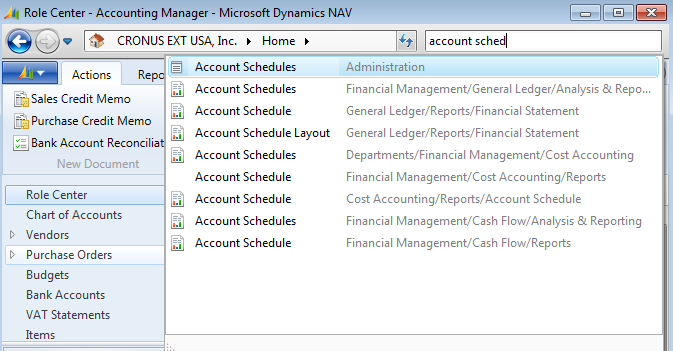 If you’re using NAV with the RTC in either NAV2009 or NAV2013, one way to find account schedules is to choose Departments, then General Ledger from the Financial Management menu, then choose the Account Schedules link under the Reports and Analysis and Analysis & Reporting menus. 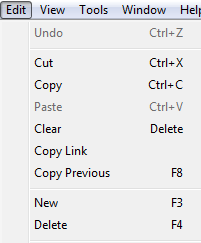 A faster way is to simply use the Search option. 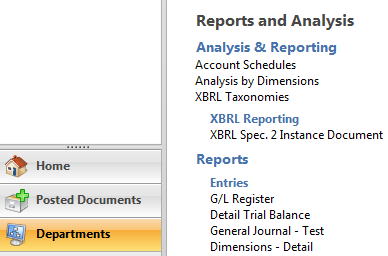 Type in the word account schedules, and you’ll see a few suggestions. For now, choose the second one on the list that you see here. 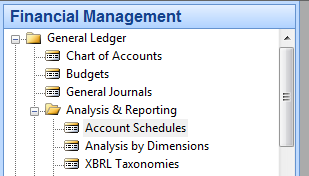 If you’re going to be using account schedules frequently, an even better way is to create a button on your ribbon. This way gets you there in a single click.